NU field hockey coach Cheryl Murtagh. There were no club teams, no youth leagues, no summer travel teams or skills camps. 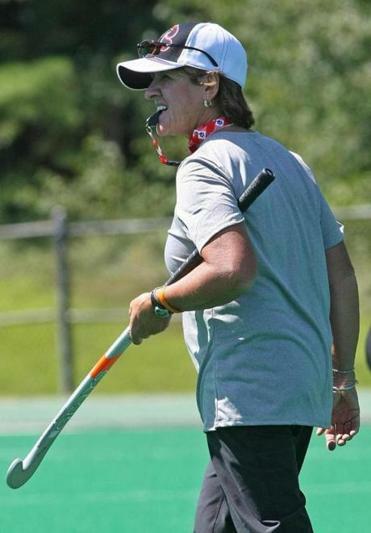 The first time Cheryl Murtagh played a team sport was in the fall of 1973, when she began the ninth grade at Bishop Fenwick High School in Peabody and picked up a field hockey stick. 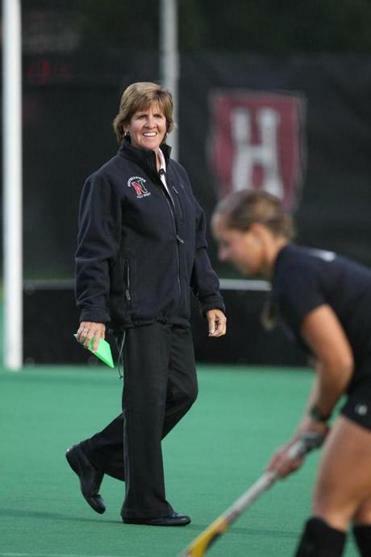 Murtagh, now a Rowley resident, went on to become an All-American at the University of New Hampshire, and this fall will begin her 26th season as the field hockey coach at Northeastern University. Jaclyn Torres is a three-time Globe All-Scholastic in field hockey and a member of two state championship teams at Andover High. This fall, she will begin her collegiate career at Brown. Thanks to advances made possible by Title IX — the groundbreaking gender-equity legislation that was passed just before Murtagh took the field for the first time — the two women traveled two very different paths on the way to athletic stardom. In 1976, four years after Title IX, the Globe announced its first female all-scholastics, honoring players in six sports. Today, there are 16. At the time of its passage in 1972, 295,000 girls played high school sports nationwide, compared with 3.7 million boys, according to a participation survey conducted by the National Federation of State High School Associations. From 2009 through the last school year — Torres’s heyday — the figure for girls has increased to 3.2 million, compared with 4.5 million boys. As students returned to local schools this week, the opportunities for girls to participate have never been greater. Forty years after Title IX’s passage, the number of girls playing sports at Hamilton-Wenham Regional High School outnumbered the boys, 412 to 365, last year, according to an athletic participation survey compiled by the Massachusetts Interscholastic Athletic Association. Andover's Jaclyn Torres let go with a shot during field hockey practice in Andover. At Hamilton-Wenham, Stoneham High, and three private Catholic schools in the region — Bishop Fenwick, Pope John XXIII High in Everett, and Presentation of Mary in Methuen — the number of spots on girls’ teams outnumbered those for boys during the 2012-13 school year, according to the same survey. Few can appreciate the leap girls have made more than Murtagh. She grew up in Peabody, tagging along to her brother’s baseball games and playing pickup baseball with the boys, wondering why she could not play Little League as they could. “I could hold my own against the boys. I wasn’t the best one, but I wasn’t the worst one, either,” she recalled. Sometimes she could be found shooting baskets at the Burke School in West Peabody, where her father, John, was the principal. Then there were the street hockey games in the winter with the boys. But there was no league of her own. Murtagh thinks it is still important that female athletes have female coaches as role models. So when she enrolled at Bishop Fenwick, the first priority was to be on a team. Besides field hockey, she starred in basketball — for which she was named to the first Globe girls’ All-Scholastics team in 1976 — and softball. It was basketball that earned her scholarships to Springfield College, and then at the University of New Hampshire, where she transferred as a sophomore. But field hockey was where she starred, becoming an All-American her last two seasons. After that, she began coaching at Bentley College, and became an assistant at Northeastern in 1984 before becoming head coach in 1988. “I was a full-time assistant for $18,000 when I first got to Northeastern,” said Murtagh. Thanks to Title IX, salaries increased for coaches in women’s sports, but as they did, so did the competition for jobs, and more men started to coach young women. Murtagh thinks it is still important that female athletes have female coaches as role models, and certainly Murtagh knows how to win: Her coaching record is 347-190-10 at Northeastern, 364-205-13 overall, and she was inducted into the National Field Hockey Coaches Association Hall of Fame in 2012. She lauded the support that Northeastern and its athletic director, Peter Roby, give her and her players, including a new state-of-the-art field hockey facility recently constructed in Dedham. Jaclyn Torres, for one, appreciates the women who came before her. Torres’s first team was youth soccer in kindergarten, and within a few years, she also was playing field hockey and lacrosse. She also played a year of basketball and ran track through her sophomore year, including a stint on the 4x400 relay team that holds the Andover school record. Family support has been key as she attended summer lacrosse tournaments and field hockey camps throughout her youth. Jaclyn is one of five children of Richard and Cathy Torres, and her brother Josh played lacrosse at Providence College. She has cheered him on and she expects he will be in the stands when she plays for Brown. “I owe a great deal to my family,” she said. “They sacrificed a lot to help me get to where I am and get me to every game. She already has started field hockey practice at Brown, and hopes she does not have to give up her other great love. “I might try to play lacrosse, too, but I’m going to have to see how the schoolwork goes this fall,” she said. Don’t count her out: In the spirit of growing up in the best of times for young female athletes, Torres’s response was direct and to the point when she was asked if anyone or anything stood in the way of her athletic success. Rich Fahey can be reached at fahey.rich@2gmail.com.